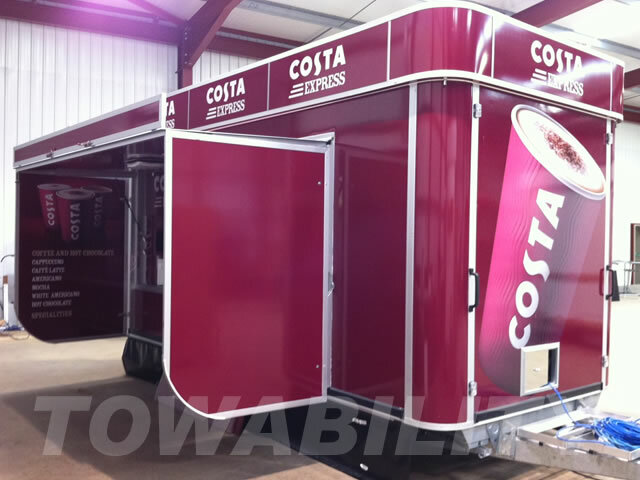 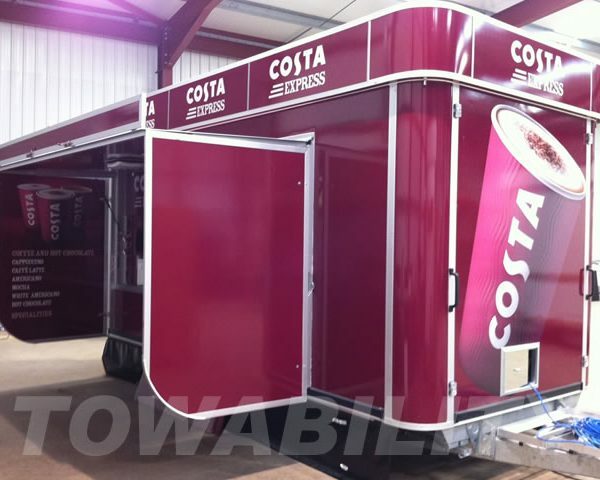 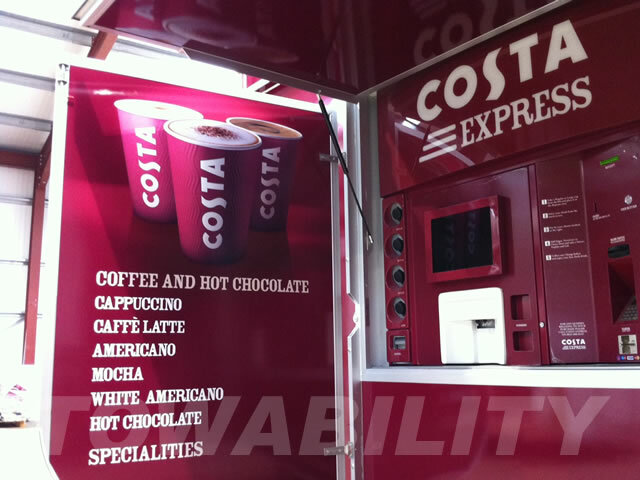 Fittings: The Costa Coffee mobile self service gourmet coffee trailer is based on the Supercontinental. 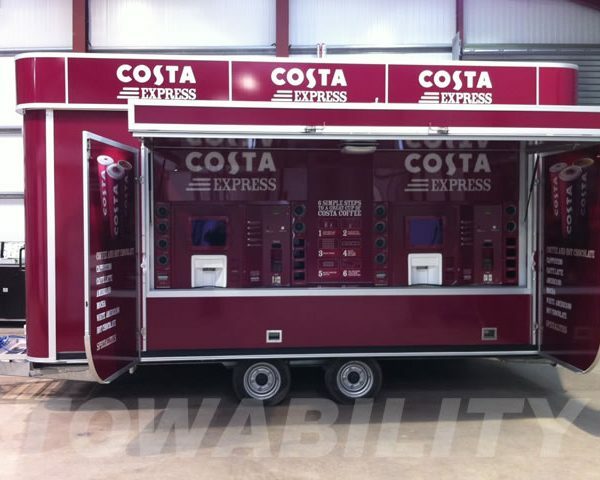 Significantly, the main requirement for the self service coffee machines was a chassis to accommodate for this purpose. This was the main requirement for the installation of 4 self service coffee machines, operational from both sides. 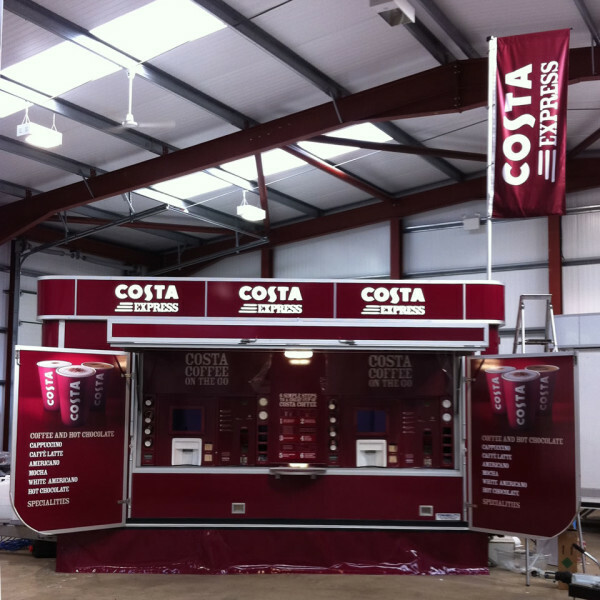 This Supercontinental catering trailer also benefited from the optional rayon corner styling. 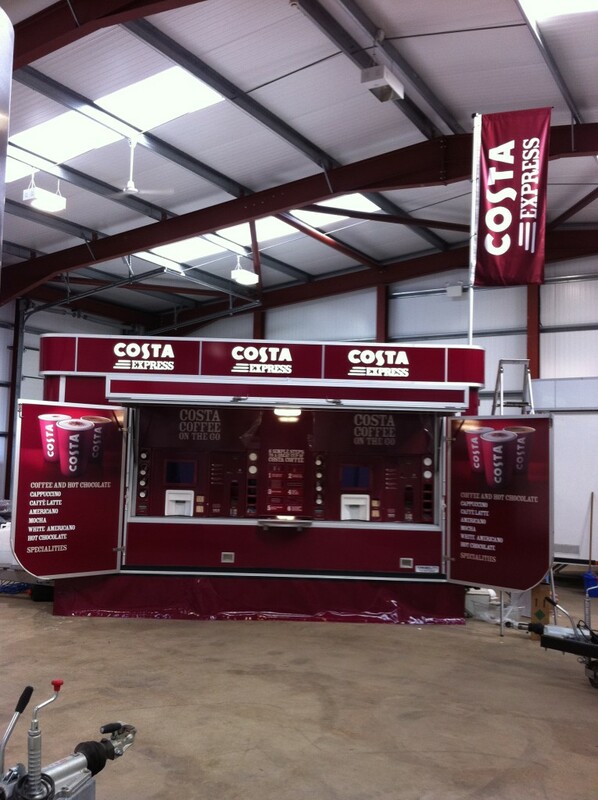 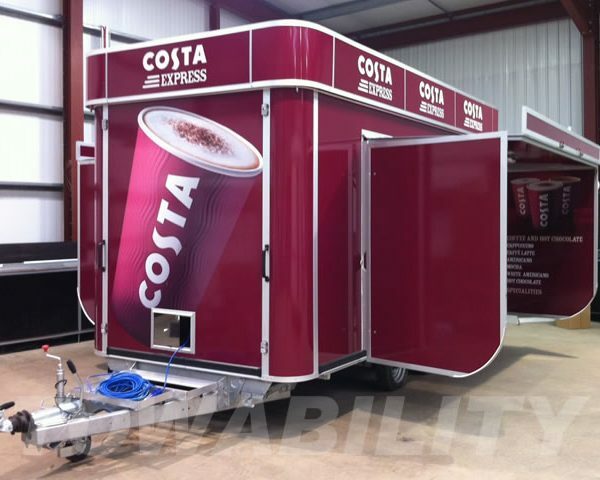 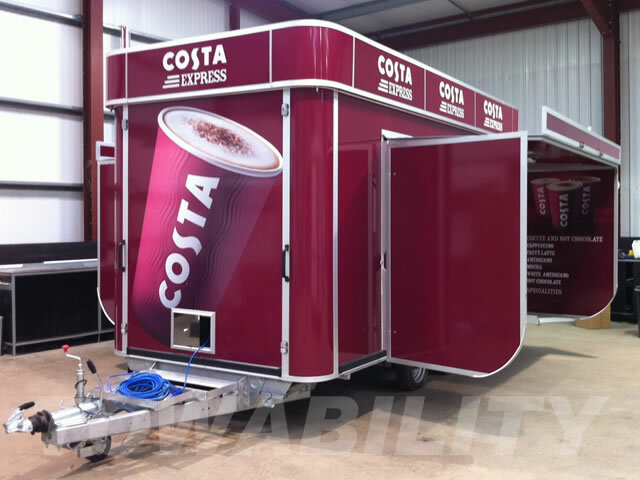 Costa Coffee UK came to us for a mobile vending solution. 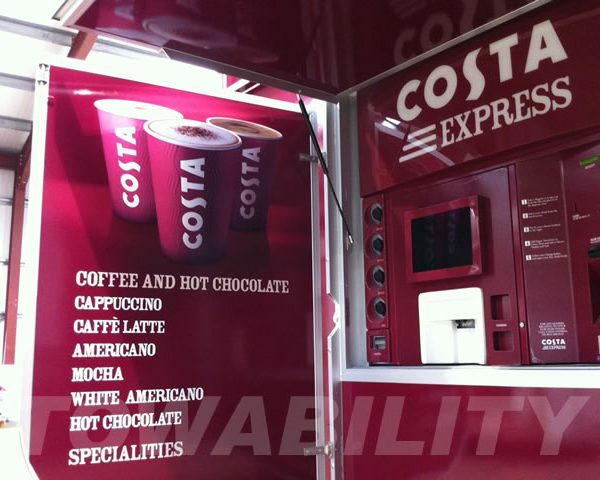 As you can imagine, Costa Coffee didn’t want just any old normal vending coffee machine solution. 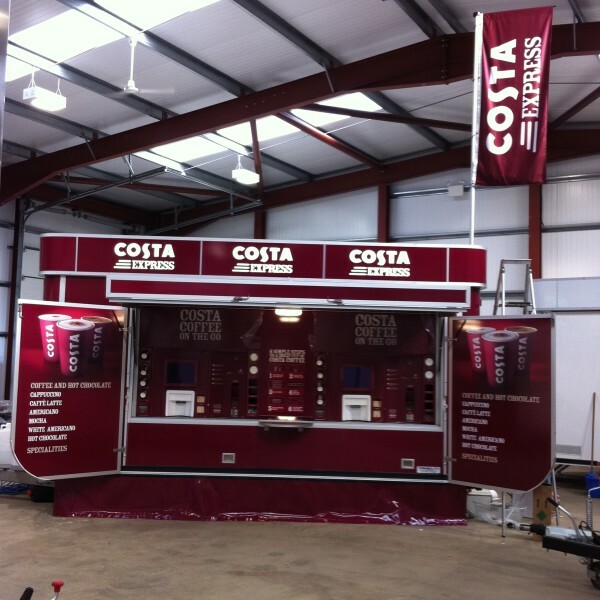 They wanted these machines to be able to produce gourmet barista Café quality coffee. 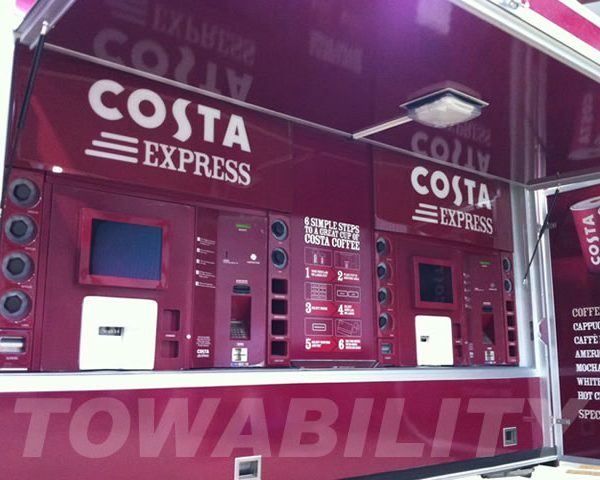 In the past machines have always been incapable of tamping correctly and producing a Flat White. 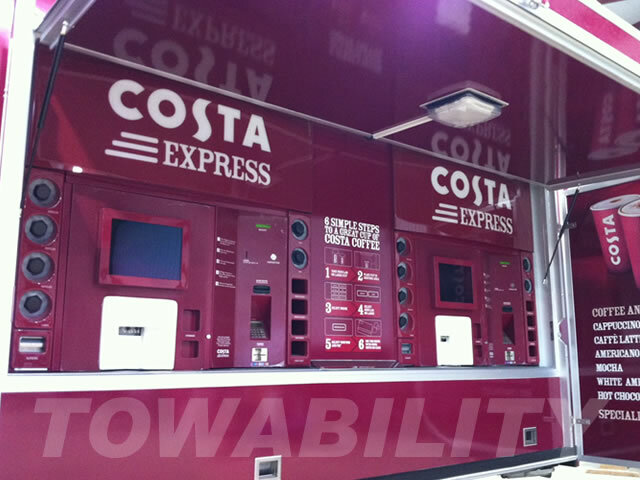 Not only can these smart coffee machines do this, they’re linked up to the 3G/4G network and have the ability to accept card payment’s and cash in any locations.